Biography: Born Ruler is one of today's reminders in Hip-Hop, letting us know that the conscious MC didn't go anywhere. Born Alfred T. Farrar, in 1977 in Bronx, New York, his single parent environment was the perfect condition to form the MC that he is today. Coming of age in a time when Hip-Hop was showing and proving its power to dominate the world. Born has kept his fingers dusty digging in crates at the age of seven. As a child and young teen he experienced various musical talents, while traveling up and down the East coast. Located in Richmond, VA he dominates local MC's in rhyme battles, Born has a gift for preserving the feeling that was once felt in the atmosphere of Hip-Hop. He is what you would call MC/ Producer, choosing to have MC placed first. 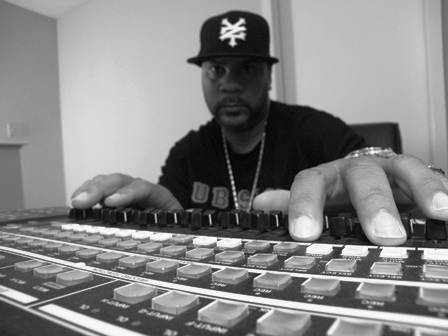 Born Ruler has written, produced, recorded and mixed all of his own music and beats. Born has produced albums for groups such as The A-Alikeminds, Project Feed the Baby, and also a project called Dark Matter. So when you hear any music done by Born Ruler, you leave knowing that the Bronx was here. His beats are very universal and have a Boom Bap Hip-Hop foundation. He says, "He is here to bring the passion back to conscious rhyme". Many people who have heard Born's work mostly reply with, "Hey, where can I find more Hip-Hop music that sounds like this". You can find Born every Friday from 9pm-11pm at the Richmond University Radio WDCE, on The Bum Rush Show. He is known as the resident MC. Bruce Wayne While many artists struggle to establish their musical identity, some emerge fully formed, in full command of their craft, their identity and their music. Bruce Wayne fits firmly in that category. His latest work BLK CNN is a captivating release that heralds the arrival of a gifted and significant new talent, one whose music feels familiar in the best possible way, while striking out on its own territory. Growing up in Brooklyn NY, Bruce took to music at an early age being inspired by his peers who were into spinning records in the community at block parties and different house parties in the neighborhood. He explains “I went to a friend’s house in my building and saw the DJ set and I was instantly drawn to it. Once I learned the basics I began to want to learn more about making music and as I got older my talent for making beats showed. I was known for banging on tables, cars, mailboxes, garbage cans; whatever I could get my hands on to get some kind of rhythm going”. As I grew, my passion grew also and I got my first drum machine which was from a friend called the synsonic drum machine”..Lol..yep..I had one. As an adult Bruce lived in Jacksonville FLA where he met fellow group member Born Ruler and they began making music together. “At this time in my life, I knew that this is what I wanted to do so I began investing and bought my first sampler the ASR-10. At the time I didn’t realize that the RZA, Devonte Swing and others were using this same machine but I mastered it and made a name for myself in Jacksonville. He began making more and more music with other rappers and a few R&B groups in the area which sparked interest in a few local record labels and management companies. “I was in the Navy at the time and couldn’t sign any contracts because I was already considered to be under contract for the Government but, I continued to work”. In 1995 he gave up his career in music to focus on family, raising his 2 sons and being a husband. “I knew my sons needed a father that was present in the home and that was very important to me”. After the years passed by he never lost his passion and resumed making music again in early 2012. “It was like I picked up where I left off and never missed a beat..Literally..lol”. 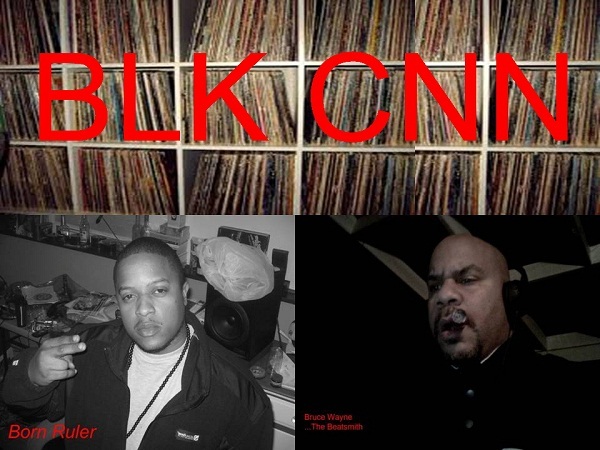 Soon after he was working with Born Ruler on the new self-titled ep “BLK CNN”. We do conscience hip hop and my style of beats is likened to Pete Rock, DJ Premier, The Alchemist, 9th Wonder and J-Dilla all of who I am a fan of”. I sample a lot so you’ll hear something you like and sometimes are familiar with. Bruce is currently working on a 14 song LP with Born and few songs for a talented female Emcee Cherokee The Lyricist and for Neo Soul singer Candice Nicole . He has also provided music for longtime friend and former group member Waxwell in Jacksonville. “Born Ruler, Candice Nicole, Cherokee and Waxwell are all extremely talented artists and I look forward to future projects with them all.